To use your Android device on a Wi-Fi network, you have to know how to connect to Wi-Fi. You can join a wireless network by turning on Wi-Fi from your phone or tablet, selecting a network from a list of available ones, and then entering the password (if it needs one). The steps for connecting your Android to Wi-Fi is the same no matter what network you choose. This means you can follow these directions to connect your phone to your home Wi-Fi, the wireless network at work, a public Wi-Fi hotspot, etc. 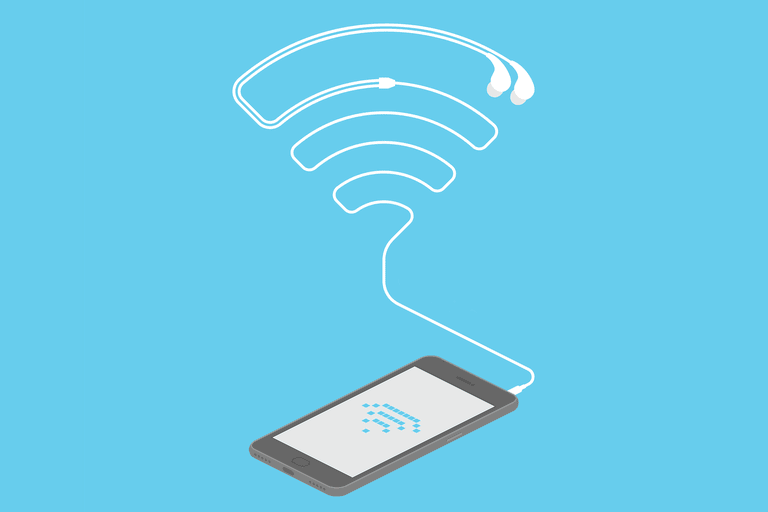 Once you're connected to Wi-Fi, you can watch online movies, stream music, download apps, etc. Note: These steps apply equally to Android 9.0 Pie, 8.0 Oreo, and 7.0 Nougat; other Android versions might work somewhat differently. You can follow along with these steps no matter who makes your phone or tablet, whether it's Samsung, Google, Huawei, Xiaomi, etc. You need to know the network name (the SSID) before connecting your Android to Wi-Fi so that you know which network to choose if there are several. Also necessary is the password, if you plan to access a password protected network. If you're connecting to your own home network, you can usually find the default SSID and password printed on the bottom of the router. Or, if your internet was just recently set up, the modem provided by your ISP probably came with paperwork including this information. Networks that aren't your own aren't that easy to access, so you'll need to ask the owner for the Wi-Fi password and name. Access your Wi-Fi settings to make sure Wi-Fi is turned on and to ultimately view the available networks. The easiest way to open the Wi-Fi settings is to swipe down from the top-right of the screen and tap-and-hold the Wi-Fi icon. Tap Connections or Wireless & Networks. Note: Some devices might call the Wi-Fi option "WLAN." Once Wi-Fi is enabled on your Android phone or tablet, and you're viewing the Wi-Fi page, you'll see a list of nearby networks that you can connect to. Tap a network from the list of available Wi-Fi networks to connect to one. If you know which network to choose, then tap it, otherwise, you should consider a few things before connecting to just any network. Networks with a key icon signify those that require a password. If you know the password, these are preferred networks to use. Unsecured networks (such as those in coffee shops, some hotels or other public spaces) have no key icon. If you use one of these networks, your connection could be breached. If you're going to connect to an unsecured Wi-Fi network, be sure you have a firewall program installed, antivirus software active and ready to scan files, and preferably a VPN service readily available so that you can access the web while tunneled through a VPN. Important: Never use an unsecured network to perform private browsing activities, like accessing a bank account, logging in to your online user accounts, etc. Estimated signal strength is displayed next to each Wi-Fi network. The darker the icon or the more bars you see, the stronger the network signal. You might occasionally lose internet access if you connect to a network with a weak signal. If you have never connected to this network, a dialog opens in which you enter the password. If you have connected to this network in the past, a pop-up dialog will display where you can choose to connect to the network, forget it to erase the password or cancel to choose a different network. If you entered the password correctly, the dialog closes and the SSID you chose displays message about obtaining an IP Address, and will then show that you're connected. Once connected, a small Wi-Fi icon appears in the status bar at the top right of the screen. Configure your router for WPS. Your router initially needs to be configured to support WPS, usually via a button on the router labeled WPS. For Apple AirPort base stations, set up WPS using the AirPort Utility on your computer. Configure your Android device to use WPS. Android devices can connect using either the WPS Push or WPS PIN method, depending on the requirements of your router. The PIN method requires that you enter an eight-digit PIN to connect two devices. The push button method requires that you press the button on your router when trying to connect. This is a more secure option but requires you to be physically near the router. Navigate to your Wi-Fi settings page using the same steps as described in the first section above. Open the advanced Wi-Fi settings on your device, usually accessed through a three-button menu or an Advanced option. Choose either WPS push button or WPS PIN entry, depending on your router's instructions. Important: Some security experts recommend disabling WPS on your router completely, or at least using the push button method. Once you've connected your Android to Wi-Fi with a valid password, and your device has obtained an IP address for use on the network, you can view details about the connection. This includes the signal strength, data transfer speed, frequency the connection is on, type of security, etc. To do this, open the Wi-Fi settings and tap the SSID to which you're connected to. From there, you'll get a dialog containing all of the information your device is able to see about the connection. If you're often within the range of public Wi-Fi hotspots or other networks that don't use passwords, you can set up your Android to automatically tell you each time there's a network available with a strong connection, and that doesn't need a password. On some Android devices, you need to instead tap the settings within the Wi-Fi page, choose Advanced, and then toggle on the Wi-Fi notifications or Network notification feature. As long as Wi-Fi is turned on (even if not connected), you'll be notified each time your device detects the signal of an available open network.